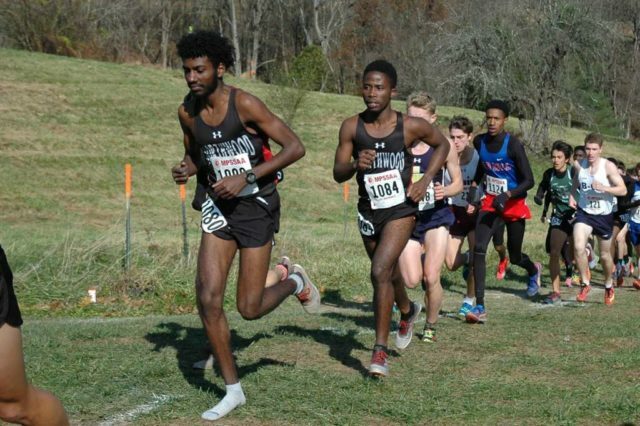 Seniors Obsaa Feda and Eldad Mulugeta led their Northwood High School cross country team to a second-place finish on Saturday at the Maryland state meet. It was also a D.C.-area school’s top finish in the 4A boys’ race since Walter Johnson’s runner-up finish in 2012. 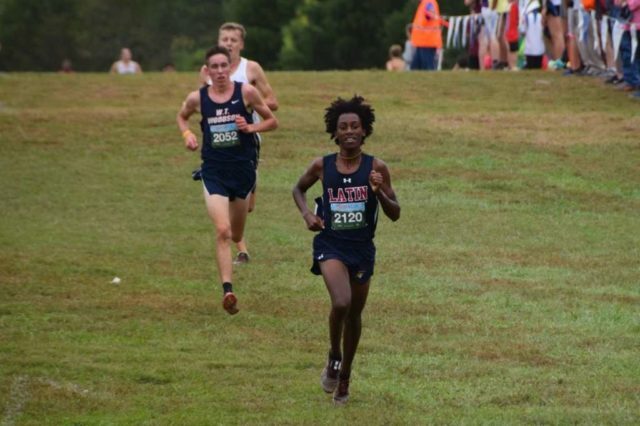 The teammates ran together toward the finish line in the 4A boys’ race, but Feda crossed first, running the hilly three-mile course at Hereford High School in 15:44.05. Less than a second later, Mulugeta finished the race, earning a time of 15:44.29. 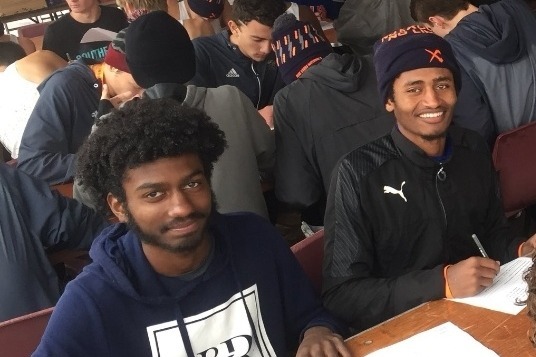 The third- and fourth-place runners finished 18 seconds after Feda and Mulugeta. Northwood Coach Giovanni Reumante was amazed by what his team was able to accomplish. As the Montgomery Blair High School cross country team geared up for its weekly long run, Morgan Casey felt a pang of hunger. She would silently grind through the discomfort, and eventually it went away. This habit only worsened as the year wore on. By the end of her junior year, Casey was at least seven pounds lighter than the beginning of the year, a state champion, and anorexic. She is not an anomaly. A 2007 study found that around 20 percent of female high school athletes self-reported disordered eating. Athletes tend to underestimate disordered eating and eating disorders, however, so the actual number could be much higher. This problem continues, and may even intensify, in college. One Columbia University study found that 35 percent of female college athletes were at risk of developing anorexia nervosa, and 58 percent were at risk of developing bulimia nervosa. Those with eating disorders face worsened physical health and a are also a high risk of suicide. With a mortality rate of about 10 percent, anorexia has been called the “most fatal mental health disorder” by the National Institute of Mental Health. George Marshall cross country coach Darrell General, winner of two Marine Corps Marathons, is in the running for a $25,000 prize from the 2018 Hometown Heroes Award. Voting closes Friday, Nov. 16. General is the only cross county or track coach among the finalists and the only East Coast finalist. For years, General has maintained a rigorous work schedule to support his family and his competitive running career, which included five Olympic Marathon Trials qualifications and two Marine Corps Marathon victories. Read all about that here. 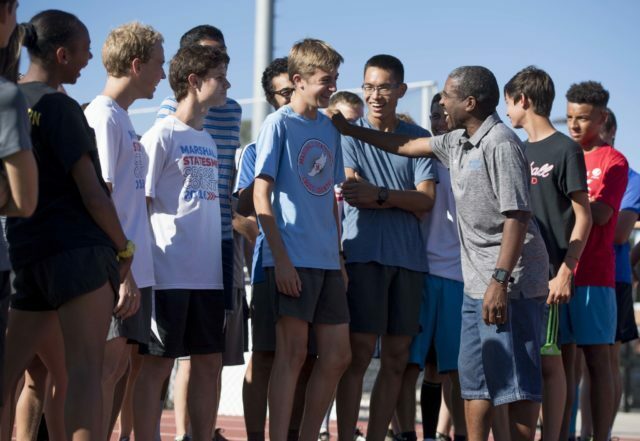 He has been coaching cross country at George Marshall High School, and aside from his coaching of the 2016 state 5A championship team, two individual state championships and a handful of Foot Locker finalists, has had a hand all of his athletes’ developments. Check out a video produced for the contest, located below the ballot. 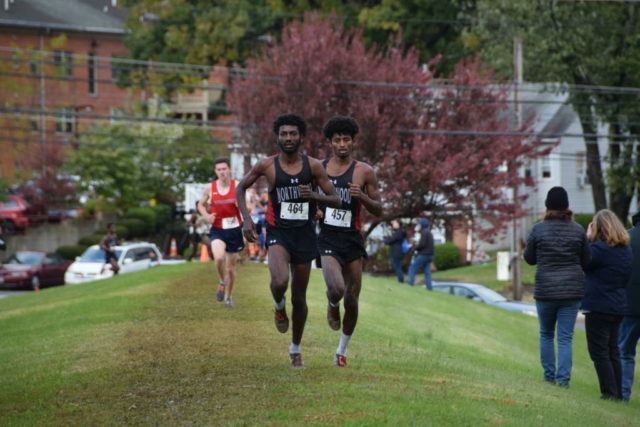 In the last five years, D.C. state championships have had the most drama in the middle, where teams’ fourth and fifth runners battle on the margins while Taylor Knibb or Page Lester run away with the individual title. 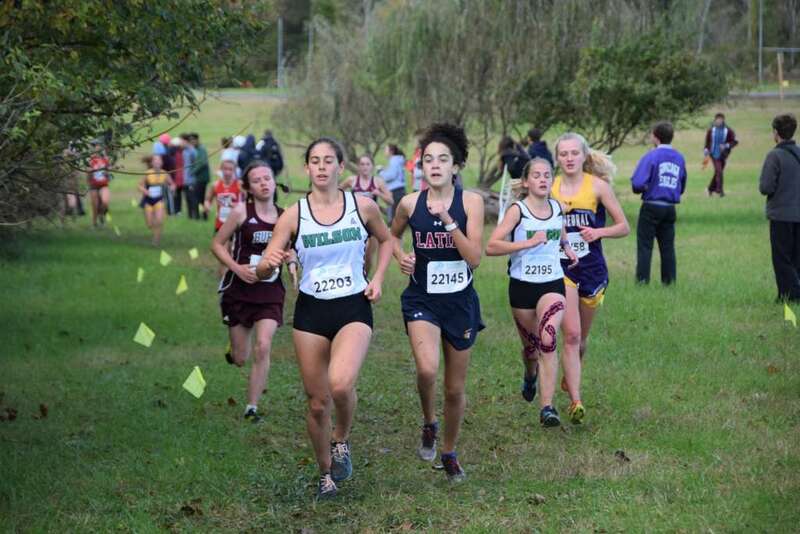 Spectators got better shows this year, The race this year stayed interesting much, much longer, with Woodrow Wilson sophomore Ava Nicely kicked past Washington Latin sophomore Zoe Edelman in the last tenth of a mile to win the individual title, 19:41-19:43. Nicely and fourth-place finisher Claire Wigglesworth (20:03) led the way for Wilson upset of defending champion St. John’s, 44-49. It made Wilson the first public school to win a title since the DCSAA championship race started in 2013. Northwood made history at Bohrer Park in Gaithersburg, winning the school’s first Montgomery County Championship behind Obsaa Feda’s individual championship. If that wasn’t enough, fellow Northwood senior Eldad Mulageta finished second. 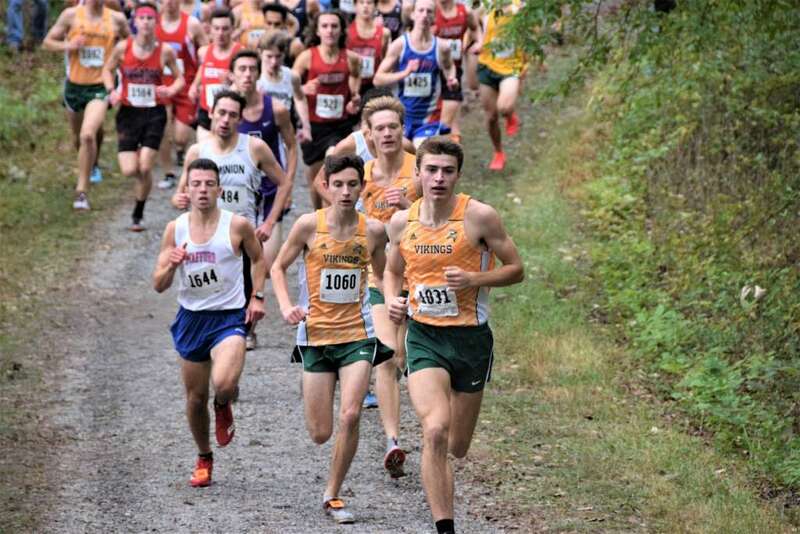 Loudoun Valley hasn’t truly flexed its cross country muscle yet. Not in winning the Great American Cross Country Festival a week ago and not in scoring 18 points to win the Third Battle Invitational, taking six of the top seven spots in the process. The defending Nike Cross Nationals champions haven’t even figured out who their top seven will be, and two runners who raced in Winchester did well enough to only make coach Marc Hunter’s job harder as the Vikings pick their seven runners who will compete in postseason races. Luke Tewalt isn’t the kind of hold back, especially when he has a chance to really be part of a race. The Washington Latin junior took that opportunity Saturday at the Glory Days Invitational at Clifton’s Bull Run Regional Park, leading W.T. Woodson’s Jack Leech and Bishop O’Connell’s Max Greczyn through the rolling course. For Tewalt, it was a Goldilocks race, not too fast, like the DCXC Invitational a week earlier when he faced off against a Lynchburg area runner with a much faster personal best; and not too slow, like many of the smaller invitationals his charter school team had been racing.